Ivanka Trump, daughter of GOP front-runner Donald Trump, criticized New York's voter registration rules late Tuesday night, calling them "onerous" and explaining why she and her brother Eric would not be voting in the state's Republican primary next week. "I'm an independent, and I've always voted based on the candidate as opposed to based on the party, and it was actually a very interesting experience," Ivanka Trump told CNN during Tuesday's town hall. "So, we're not a family of politicians. We haven't been in politics very long." "New York has one of the most onerous rules in terms of registration and it required us to register a long time ago, almost close to a year ago," she added. "And, we didn't do that." Why is Donald Trump condemning the GOP nomination process? According to New York's state elections board, New Yorkers who aren't registered had until March 25 to turn in their applications. But for those New Yorkers who were previously registered and wanted to change political parties, the deadline was Oct. 9, 2015. New York's nominating contests are closed, which means that only those registered in that political party are allowed to vote in the party's primary. Independents are not allowed to vote. Ivanka said she and her brother had found out "about a week" after the October deadline. "I fell into that same boat," Eric Trump said later. "It was our first, kind of, foray into politics. We didn't realize how the whole system worked. It was amazing. We actually made it a very big part of the campaign. There's no one that's been more visible on the campaign than the two of us." 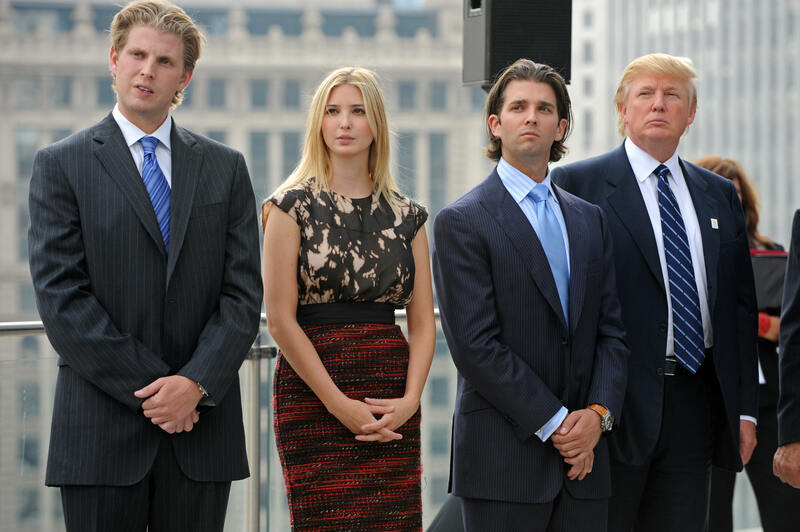 Earlier this week, Trump admitted to Fox News that his children would not be voting for him on April 19, when New York holds its primaries. "They had a longtime register and they were, you know, unaware of the rules, and they didn't register in time," Trump said Monday. "So they feel very, very guilty. They feel very guilty. But it's fine."